Will They Steal My Invention? Inventors and businesses are often concerned that their invention or technology will be stolen or copied in the marketplace. However, keeping an invention secret is not always an option. If bringing the invention to market requires disclosing the invention to the public, then secrecy is not an option. But neither, in such case, is keeping it locked up in the lab or under the mattress–if commercial exploitation of the invention is desired. There are at least two ways to protect yourself when interacting with another about the invention: (1) file a patent application on the invention beforehand, (2) enter into a favorable and strong nondisclosure agreement, or (3) both. However, there are rarely guarantees. Even with a nondisclosure agreement agreement in place things can still go sideways, as allegedly happened to Mr. Hrabal when he interacted with Goodyear. Mr. Hrabal’s complaint alleges the following in the case of Coda Development v. Goodyear Tire & Rubber Company, 2018-1028 (Fed. Cir. 2019). In 2008, Mr. Hrabal invented a self-inflating tire (SIT) technology. General Motors expressed an interest and wanted to involve Goodyear. Goodyear reached out to Coda Development, Mr. Hrabal’s company, requesting a meeting. Before the meeting the parties executed a nondisclosure agreement restricting use of information regarding the SIT Technology. In December 2009, Goodyear applied, without Coda’s knowledge, for a patent titled “Self-Inflating Tire Assembly” naming Mr. Benedict as an inventor, which became U.S. Patent 8,042,586. 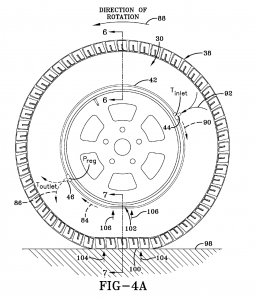 Between 2012 and 2015 eleven other patents issued to Goodyear covering assemblies and methods for assembly of pumps and other devices used in self-inflating tires, which Coda claims cover confidential information Coda disclosed to Goodyear. Goodyear denied Coda’s claims and denied that the Coda’s SIT technology was new. This case is only at the initial stage so the court has not made a final determination on these allegations. What’s the take away here? Does one forego opportunities with other companies even while taking precautions and having a good nondisclosure in place? Probably no. One should take reasonable steps to protect their interests. But, these allegations illiterate that things could still go badly. Could someone try to steal your invention? It’s possible. But that possibility probably should not stop you from trying to commercialize the invention after taking reasonable steps to protect yourself, particularly if the alternative of indefinite secrecy means that your invention might never get off the ground commercially. In a patent dispute, one challenge can be explaining technical features of an invention or product in an easily understandable manner. Analogies are helpful on this score. Assuming this is an accurate analogy, the reference to railways and roads allows the reader to readily understand the emphasized difference between the technologies. Case Citation: Sprint Communications Company LP v. Time Warner Cable, Inc., No. 2017-2247 (Fed. Cir. Nov. 30, 2018). 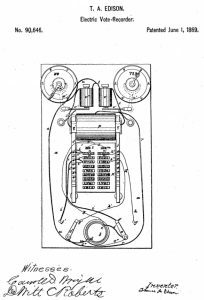 Drafting a patent application often involves describing the invention both broadly and in detail. But how can something be described both broadly and specifically?A decision in a case between Sprint and Time Warner Cable illustrates one way. In that case, Time Warner argued that the patents asserted by Sprint did not comply with the written description requirement. 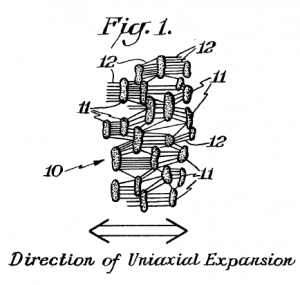 It argued that the claims were broader than what was described in the patent description. 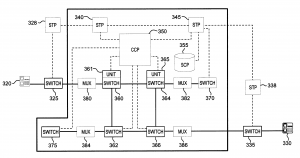 Time Warner argued that the patent description was limited to ATM networks. The appeals court disagreed. In the Sprint case, Time Warner accused technology did not use ATM technology but instead used IP technology. If the patents did not describe broadly “broadband systems” it is less likely that the claims would have been useful to cover Time Warner’s IP-based system. 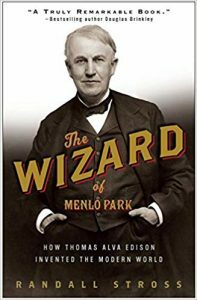 By describing an invention feature broadly first and then providing detailed examples of the broad element in an exemplary way, the invention feature is described both broadly and in detail. Describing the invention feature broadly provides the opportunity for broad patent coverage. Providing detailed examples supports the broad description and provides a fall-back position if some portion of the broad subject matter is already in the prior art. Ray and Amanda Smith applied for a patent on a method of playing a wagering card game. The title of their patent application was “Blackjack Variation.” The court of appeals noted that the Smiths’ claim were directed to rules for playing a wagering game using conventional shuffling and dealing of a standard deck of cards. As such, the court of appeals found the Smiths’ claims were not patent eligible in In Re Smith, No. 2015-1664 (Fed. Cir. 2016). The court also found that the claims did not contain an inventive concept sufficient to transform the abstract idea into a patent-eligible subject matter. The shuffling and dealing of physical playing cards from a standard card deck were purely conventional activities, according to the court. However, the court noted that some inventions in the gaming arts could be patent-eligible. The court said “claims directed to conducting a game using a new or original deck of cards potentially” could be patent eligible. Data Engine Technologies (DET) sued Google claiming that it infringed several claims of U.S. Patents 5,590,259, 5,784,545, 6,282,551 directed to tabbed-spreadsheets, among others. The patents claim system and methods for making complex electronic spreadsheets more accessible by providing familiar, user-friendly interface objects–specifically notebook tabs–to navigate through spreadsheets. Google asserted that the claims of these patents were directed to abstract ideas and did not provide an inventive concept. The Federal Circuit disagreed finding claims directed to the tabbed spreadsheet were patent eligible in Data Engine Technologies LLC v. Google LLC, No. 2017-1135 (Fed. Cir. 2018). Figure 4D of the ‘259 patent shows tabs at the bottom of each sheet. Figure 2D provides an enlarged view of the tabs. 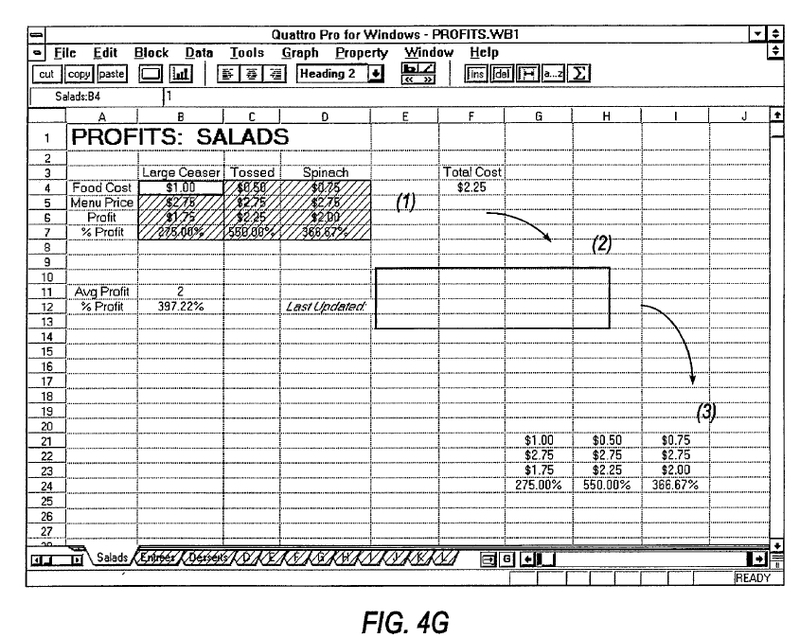 The court notes that while these tabbed spreadsheet interfaces are common now, “Quattro Pro, the first commercial embodiment of the claimed invention, was highly acclaimed as having revolutionized three-dimensional electronic spreadsheets.” The court goes on to review articles from PC World and Info World touting the advantages of the tabs in improve navigation of three-dimensional sheets. The Court found that the claims were directed to a specific method for navigating through three-dimensional electronic spreadsheets. And provided a solution to the then-existing technological problems in computers and prior art electronic spreadsheets. The claimed invention solved a known technological problem in a particular way. 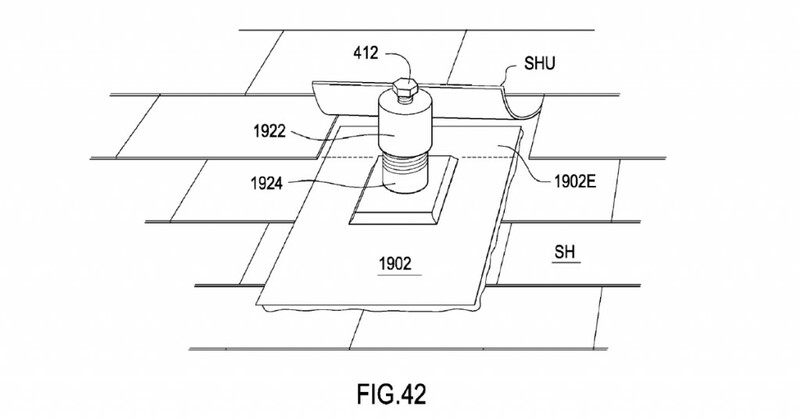 It is not surprising that the content of a patent application is important. Sometimes the description of something as simple as a washer is important to obtaining a valid patent. If the description of the invention in a patent application is comprehensive and multifaceted, you will have the option of pursuing and possibly obtaining broad and varied claims directed at protecting the invention. However, if the description of the invention is thin or narrow, it could be that you can’t get any valid claims–any protection–on your invention. This is one of the problems with back-of-the napkin or otherwise thin provisional patent applications. Even when the application has more to it than a back-of-the napkin level of detail, an application can run into problems that result in no patent protection, as was the case in D Three Enterprises, LLC v. Sunmodo Corporation, Nos. 2017-1909, 2017-1910 (Fed. Cir. 2018). D Three Enterprises sued Rillito for infringing three patents directed to roof mount sealing assemblies that are used to mount items, such as solar panels, to roofs. The patents claimed priority through a chain of patent applications back to a provisional patent application filed in 2009. Some of the asserted claims of the patents did not require a soft washer. There were various versions of roof mount assemblies shown in the provisional application, but only one version was washerless. However, the description of the washerless version used a W pronged attachment bracket. The relevant asserted claims were not limited to a W pronged attachment bracket but recited a more generic bracket. Therefore, because the asserted washerless claims were not limited to the W prong style attachment brackets, those claims were broader than the disclosure in the provisional patent application. As such, the claims did not meet the written description requirement as applied to the provisional application. As the claims were broader, the court found that they were not entitled to the benefit of the provisional application filing date in 2009. Instead the claims were provided the later filing dates in 2013 and 2014 of the non-provisional applications that resulted in the patents. But there was intervening prior art that invalidated the asserted claims if the claims did not have the benefit of the 2009 provisional filing date. The court found the asserted claims of the patents were invalid based on the prior art that arose between 2009 and 2013. The outcome in this case might be different if the 2009 provisional provided that any of the embodiment shown herein may be provided with or without a washer. 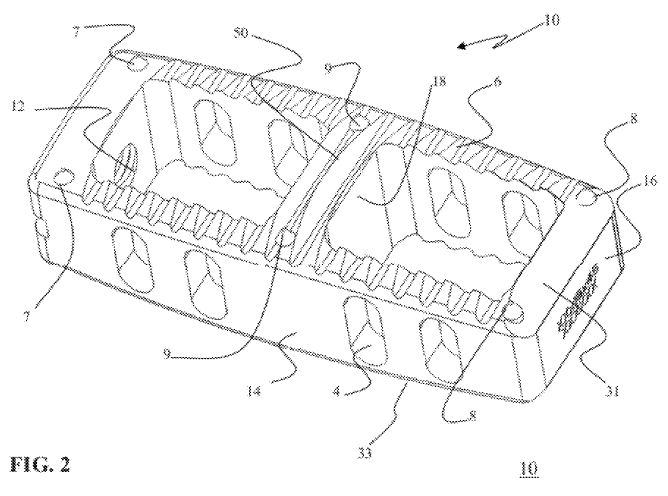 Further, the outcome might be different if the provisional stated that a generic bracket could be used with the washerless version of the invention. D Three’s provisional application (61/150,301) did not include any claims. While the law does not require a provisional application to have claims, one or more claims reciting a washerless version with a generic bracket could have been included in the provisional. Such claims might have provided the written support for the later claims in the resulting patent and changed the result. Just because the USPTO does not require claims in a provisional, doesn’t prevent you from including them. D Three’s provisional application showed a number of different embodiments (variations) of the invention. D Three’s provisional application was not a back-of-the-napkin submission. It had 12 pages of description and 21 pages of drawings. If an application with that much detail can run into problems, so too can applications with less. It is important that a patent application describe an invention both broadly and in detail regarding the various embodiments (variations) of the invention. This is designed to provide a broad foundation for future patent claims and for a better chance at obtaining broad and valid patent protection. When an invention possesses or provides unexpected results, this is often sufficient to show the invention is not obvious. The case of Allergan, Inc. v. Sandoz Inc., 796 F.3d 1293 (Fed. Cir. 2015) demonstrates this principle. Allergen sued Sandoz among others alleging infringement of five patents directed a drug and treatment for glaucoma. The defendants asserted that the patents were invalid. Each of the asserted claims required a composition comprising 0.01% bimatoprost and 200 ppm benzalkonium chloride (BAK). Prior treatments for glaucoma included using .03% bimatoprost and 50 ppm BAK. Prior art U.S. Patent 5,688,819 (Woodward) reference disclosed a composition comprising 0.001% to 1% bimatoprost and 0 to 1000 ppm of preservative, including BAK. Therefore Woodward disclosed a range that covered the claimed composition. When that occurs the question is whether there would have been a motivation to select the claimed composition from the prior art ranges. The court found that the prior art taught that BAK should be minimized in ophthalmic formations to avoid safety problems. BAK was known to cause increased IOP, hyperemia, dry eye, and damage to corneal cells, and to exacerbate other eye disorders. Therefore the prior art taught away from increasing BAK from 50 ppm to 200 pmm. Further, the prior art taught that 200 ppm BAK would either have no impact on permeability of bimatoprost or decrease it. But Allergan’s inventors surprisingly determined that the opposite was true, 200 ppm BAK enhanced the permeability of the bimatoprost. The court concluded that his unexpected difference in kind supported nonobviousness of the claimed invention. Moreover, the court found that the prior art taught that reducing bimatoprost from 0.03% to 0.01% resulted in reduced efficiency, but did not reduce red eye (hyperemia). 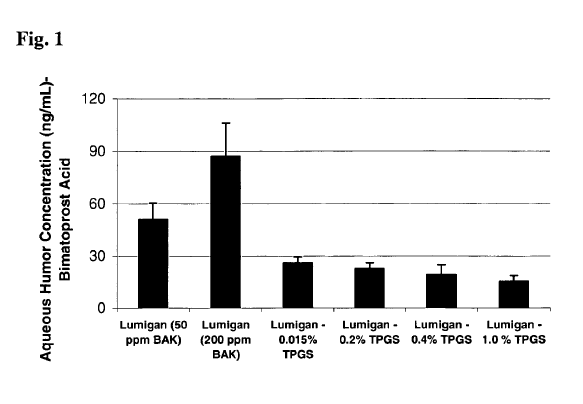 However, the claimed, which comprises 0.01% bimatoprost and 200 ppm BAK, formulation unexpectedly maintained the IOP-lowering efficacy of Lumigan 0.03% (Allergen’s prior product), while exhibiting reduced incidence and severity of hyperemia (red eye), even though the prior art taught that BAK could cause hyperemia at high concentrations. The court concluded that the results of the claimed formulation constituted an unexpected difference in kind, that is, “the difference between an effective and safe drug and one with significant side effects that caused many patients to discontinue treatment.” These unexpected results supported the conclusion that the challenged patent claims were not obvious in view of the prior art. Therefore, when facing an obviousness rejection or challenge, look to see if you can show that the invention possesses or provides unexpected results in the art. The five patents asserted in this case are: U.S. Patents 7,851,504, 8,278,353, 8,299,118, 8,309,605, and 8,338,479. The USPTO must provide a reasoned explanation why the person of ordinary skill in the art would combine the prior art references to conclude that an invention is obvious. If the USPTO fails to do this, the obviousness rejection is not valid. The case of In re NuVasive, Inc., 842 F.3d 1376, 1382 (Fed. Cir. 2016) demonstrates this principle. Medtronic, Inc. petitioned the USPTO to invalid claims of NuVasive’s Patent No. 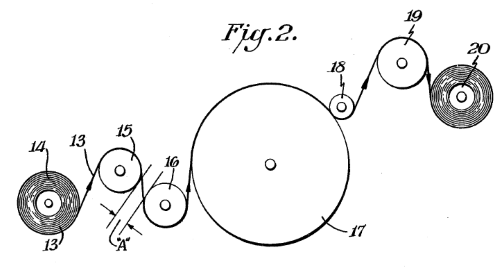 8,361,156 (the ‘156 patent). The ‘156 patent was directed to a spinal fusion implant. Medtronic asserted that the challenged claims of the ‘156 patent were obvious in view of four references: a Synthes Vertebral Spacer-PR brochure (SVS-PR Vrochure), a Telamon Verte-Stack PEEK Vertebral Body Spacer brochure (“Telamon brochure”) a Telamon Posterior Impacted Fusion Devices guide (“Telamon guide”), and U.S. Patent Application Publication No. 2003/0028249 (“Baccelli”). The USPTO found the challenged claims were obvious over a combination of Baccelli and either the SVSPR brochure or the Telamon references. But in reaching this conclusion the USPTO failed to explain the reason why a person skilled in the art would have been motivated to modify either the SVS-PR device or the Telamon implants, in light of Baccelli, to place radiopaque marketers “proximate to said medial plane,” as the ’156 patent teaches. The court reversed the obviousness determination of the USPTO for failing to provide the necessary reasoned explanation. The USPTO must articulate a reason why a person skilled in the art would combine the prior art references. That reason and other USPTO findings must have an adequate evidentiary basis. And the USPTO must provide a satisfactory explanation for its motivation reasoning that includes a rational connection to the evidence. Further merely conclusory statements are not sufficient. If the USPTO fails to provide a reason to combine or if the reason to combine is not technically valid or is not rationally connected to the evidence, then the obviousness rejection is improper. Therefore, when receiving a obviousness rejection it is important to (1) determine whether the USPTO provided a reason to combine references and (2) whether that reason is valid and/or has support in the record. When an invention proceeds contrary to the accepted wisdom in the prior art, this is a strong indication that the invention is not obvious in view of the prior art. The case of W.L. Gore & Assocs. v. Garlock, Inc., 721 F.2d 1540, 1552 (Fed. Cir. 1983) demonstrates this principle. This is an old case from 1983, but the principle discussed today from the case is still valid. W.L. Gore & Associates (Gore) sued Garlock for infringing claims 3 and 19 of U.S. Patent 3,953,566 (the ‘566 patent). The ‘566 patent was directed to a method of making high crystalline polytetrafluorethylene (PTFE), such as might be used as tape. PTFE is known by the trademark TEFLON. PTFE tape had been sold as thread seal tape, i.e., tape used to keep pipe joints from leaking. Dr. Gore of W.L. Gore & Associates experienced unsintered PTFE tape breakage problems in its tape stretching machine. Dr. Gore Experimented with heating and stretching of high crystalline PTFE rods. But the rods broke even when slowly and carefully stretching them a relatively small amount. The conventional wisdom in the art taught that breakage could be avoided only by slowing the stretch rate or by decreasing the crystalline content. But contrary to this teaching, Dr. Gore discovered that stretching the PTFE rods as fast as possible enabled him to stretch them to more than ten times their original length with no breakage. Further, the rod diameter remained about the same through out the length and the rapid stretching transformed the the hard, shiny rods into rods of a soft, flexible material. Ultimately, the appeals court concluded that claims 3 and 19 of the ‘566 patent were not obvious because Dr. Gore’s invention for making high crystalline PTFE proceeded contrary to accepted wisdom in the art. If you can establish that your invention proceeds contrary to the accepted wisdom in the relevant art, then an obviousness rejection may be overcome on that basis.